Anton Denikin was born in Russia in 1872. He came from a humble background but passed through the General Staff Academy and fought in the Russo-Japanese War. He distinguished himself as a talented infantry commander during the First World War and in August, 1917, was promoted to Commander-in-Chief of the South-Western Army Group. Denikin supported the revolt led by General Lavr Kornilov and as a result was imprisoned by the Bolsheviks. Denikin escaped in October, 1917, and joined Kornilov's Volunteer Army in South-East Russia. After Kornilov's death in April, 1918, Denikin became commander of the forces fighting the Red Army. Vladimir Lenin appointed Leon Trotsky as commissar of war and was sent to rally the Red Army in the Volga. 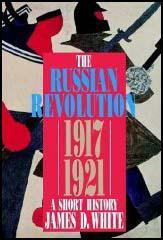 Trotsky proved to be an outstanding military commander and Kazan and Simbirsk were captured in September, 1918. The following month he took Samara but the White Army did make progress in the south when Denikin took control of the Kuban region and General Peter Wrangel began to advance up the Volga. After a series of defeats Denikin'sarmy withdrew to the Crimea. He made a brief stand at Rostov before again retreating to Novorossiysk on the Black Sea. In April, 1920, he decided to leave Russia and was replaced by General Peter Wrangel . Anton Denikin, who spent most of his last twenty-seven years in exile in France, died in 1947. (1) David Shub had been a member of the Social Democratic Party in Russia. 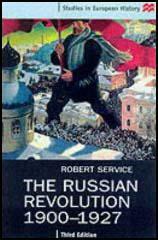 He wrote about the Russian Civil War while living in exile in the USA. In the Don Region, Generals Alexeyev and Kornilov, former commanders in chief of the Russian Army, organized a White Army. In January 1918 their forces numbered 3,000 men. To crush this force, the Bolsheviks sent an army of 10,000. Since the peasant population of the region was not in sympathy with the programme of the generals, their troops were forced to retreat to the steppes. General Kornilov himself was killed in action. Two months later the remnants of the volunteer army, numbering only about one thousand men, organized a new offensive and this time found recruits among the Cossacks. In June their number increased to 12,000; in July to 30,000. By October 1918 this Army swelled to 100,00 and occupied a front of two hundred miles, under the command of General Denikin. (2) In November, 1918, General Peter Wrangel was fighting with General Anton Denikin in the Kuban area. In the course of the last few months my command had received considerable reinforcements. In spite of heavy losses, its strength was almost normal. We were well supplied with artillery, technical equipment, telephones, telegraphs, and so on, which we had taken from the enemy. When the Reds had succeeded in making themselves masters of the Kuban district they had recourse to conscription there. Now these forced recruits were deserting en masse, and coming over to us to defend their homes. They were good fighters, but once their own village was cleared of Reds, many of them left the ranks to cultivate their land once more. (3) After the Civil War, the leader of the Red Army, Leon Trotsky wrote about the threats that the White Army had posed to the Soviet government in 1919. In June 1919 an important fort called 'Krasnaya Gorka' in the Gulf of Finland, was captured by a detachment of Whites. A few days later it was recaptured by a force of Red marines. Then it was discovered that the chef of the staff of the Seventh army, Colonel Lundkvist, was transmitting all information to the Whites. There were other conspirators working hand-in-glove with him. This shook the army to its very core. In July General Yudenich was made Commander-in-Chief of the North-Western army of the Whites, and was recognized by Kolchak as his representative. In August, with the aid of England and Estonia, the Russian 'north-western government' was established. The English navy in the Gulf of Finland promised Yudenich its support. Yudenich's offensive was timed for a moment when we were desperately pressed on the other fronts. Denikin had occupied Orel and was threatening Tula, the munitions-manufacturing centre. (4) Letter by General Peter Wrangel that was sent to General Anton Denikin on 9th December, 1919.